Gather all necessary equipment and enter the spaceship. We go looking for space minerals in Orbital Mining free slot play online. 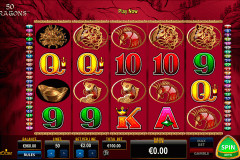 There are 5 reels and 25 paylines in this futuristic, space-themed Pragmatic Play video slot. Perform your job well to benefit from a rewarding free spins feature and take the 5000-coin jackpot. Orbital Mining is an outstanding slot from the Pragmatic Play play slots free online list. The unusual theme, the amazing design, the fitting soundtrack, and the great prizes on offer. New Zealand players together with thousands of other gamblers who like space-related games will be fascinated. There are only two special symbols in the game. The image of the Space Guardian plays the role of the Wild symbol. With this man in a crew, your winning mission is doomed to success. Space hides many unknown minerals, thus the Atomic Danger image is present in the video slot game. The Atomic Scatter symbol is the key to the Smuggled Goods Scan Bonus. When else will you have the chance to explore remote planets? 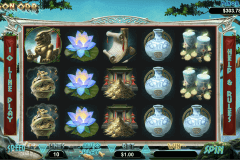 All, casino players who gather at least 3 Atomic Scatters, will start the interactive free slot play with bonus rounds. The second screen with planets, crafts, etc. will appear. Make the wise clicks and mine up to 33 free spins and up to the 6x bonus play multiplier. 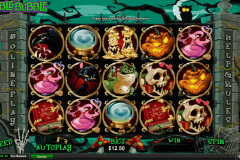 This is the very generous offer of free slot machine games with free spins. You’ll have to show your courage and talent to join the crew of Orbital Mining online slot. During the quite fast gameplay, you’ll meet a space guardian, one male, and 4 female space explorers. There are also Atomic Scatter and 5 different space minerals on the reels. We offer you the list of checked Pragmatic Play casinos where you can ply Orbital Mining for real cash. Don’t miss the chance to test this superb game for free at our site too!